and just the number of biscuits to fling into the great oven." Norfolk and Western) was built in 1852, travel by stage soon became extinct. Thus closed a boisterous but colorful chapter in our history." 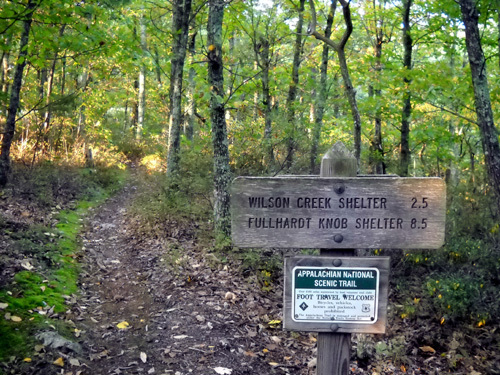 We accidentally learned a little bit of Bedford County, Virginia history today on a run that began and ended at Black Horse Gap on the Appalachian Trail. Even after a bit of research I still don't know if the tavern was named for the gap (probably) or the gap was named for the tavern (less likely). 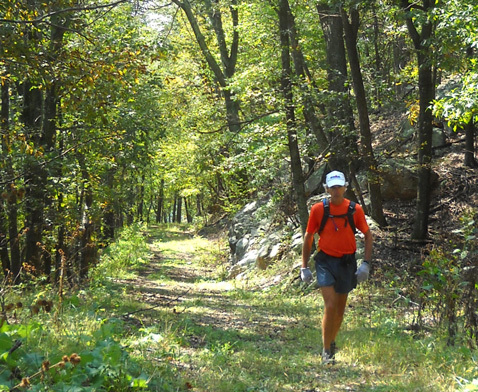 Soon after we got back to the Roanoke, VA area Jim contacted Steve Bowles, one of our local ultra running buddies. 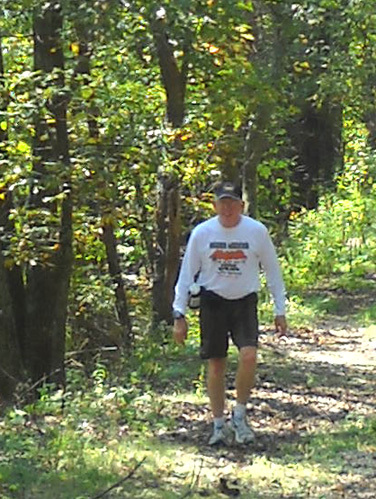 Both fellas are entered into the Mountain Masochist Trail Run (MMTR) 50+ miler in early November. Both train and race at about the same pace. Both wanted company training for MMTR. After some discussion the two guys planned their first long training run together on terrain that is similar to that at MMTR but is a little closer to reach from our homes. 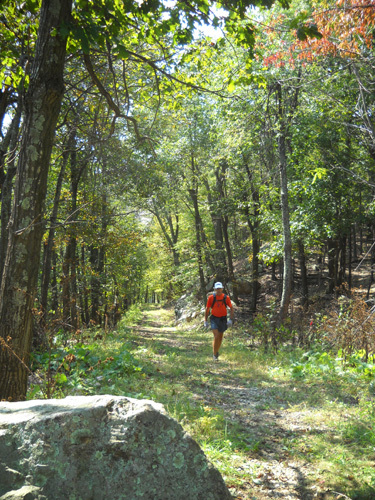 I believe that some of the trails and dirt roads they ran today are on the Hellgate 100K course. The Masochist course is farther north. Steve and Jim plan to do more training runs up there before the race. Jim and I drove from the eastern side of the Blue Ridge Mountains from our house in Bedford County, about a 45-minute drive. Steve drove from his house on the western side of the ridge in Roanoke County, which is even closer. 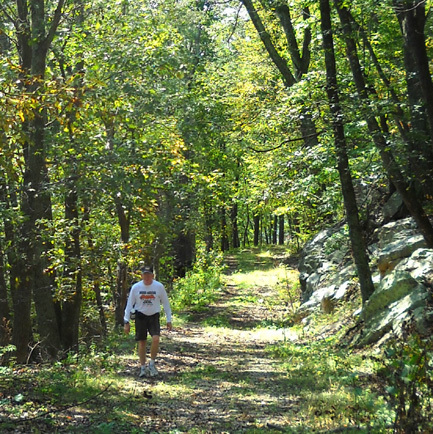 He trains in this area more frequently than we do and knows the intersecting trails and dirt roads through the Jefferson National Forest pretty well. He's able to string together various loops and out-and-back sections for a wide range of distance runs. We met at Black Horse Gap on the Blue Ridge Parkway at milepost 97.7. There is parking on either side of the road for about eight vehicles or four horse trailers. Nearby dirt forest service roads are as popular with equestrians and mountain bikers as they are with hikers and runners. Back in the 18th and 19th centuries Black Horse Gap (elev. 2,402 feet) was considered one of the easier ways to cross the Blue Ridge Mountains from east to west in the Roanoke area. 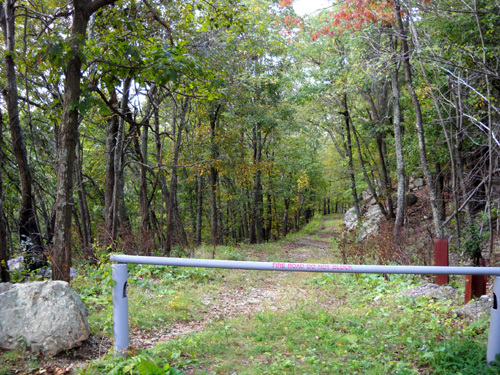 The Old Fincastle Toll Road, dating from the 1700s, intersects the modern paved parkway at Black Horse Gap from the town of Fincastle in the valley to the west. If you go west down this dirt road from the parkway now you end up at Camp Bethel, site of the Hellgate 100K finish, just off paved VA 640. The old toll road continues on the east side of the parkway. 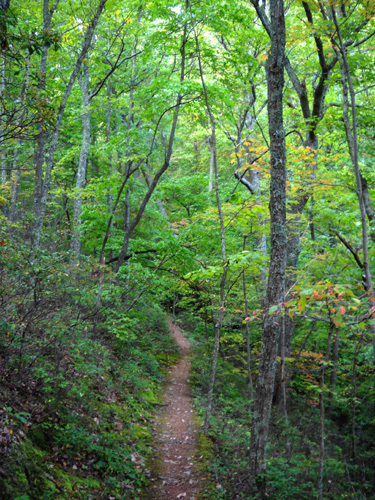 There it was also known as the Old Sweet Spring Stagecoach Road; it led travelers down into that valley to Buford's Tavern, mentioned in the quote above, and the old dirt Lynchburg Turnpike. 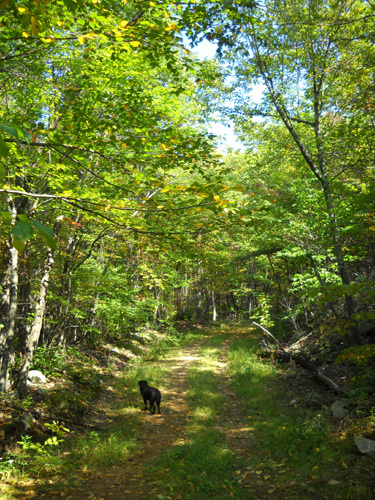 On current maps the old stagecoach road is designated as USFS 186 on either side of the parkway. 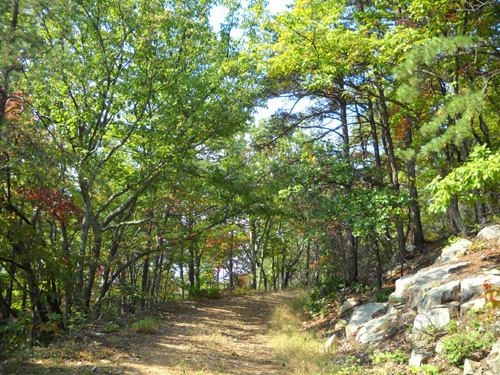 Runners and hikers are drawn to Black Horse Gap due to its easy access to the Appalachian Trail, which is for foot travel only. The AT is only about 100 feet off the road here. 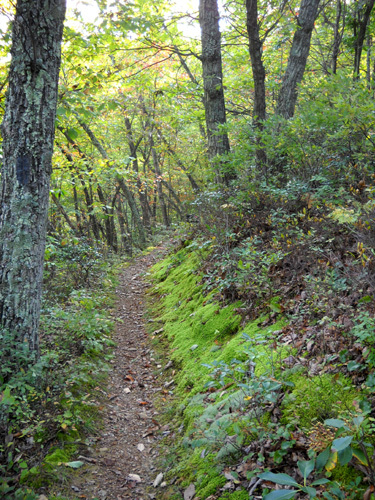 Because the ridge is so narrow in this area, the Trail parallels fairly close to the Blue Ridge Parkway northbound for about eight miles, going back and forth across the road several times between Black Horse and Bearwallow Gaps. 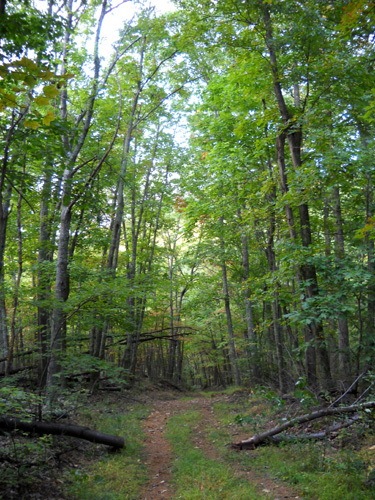 Steve suggested a 15½-mile loop going north on the AT from Black Horse Gap to Bobblet's Gap, where the AT intersects with the wider Glenwood Horse Trail (USFS 4008). They hung a right (east) onto the horse trail, crossed under the parkway, and followed the horse trail south as it wound through the mountains. 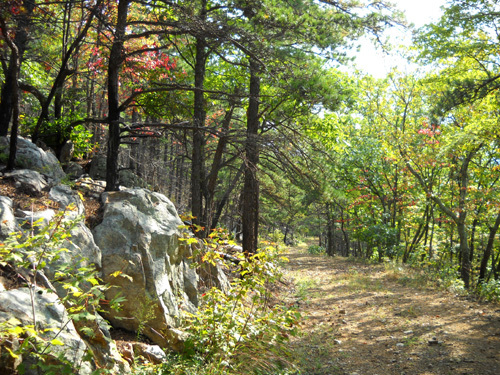 Then they turned right onto the old toll road (now USFS 186) and climbed the last 2.3 miles back up to Blackhorse Gap. 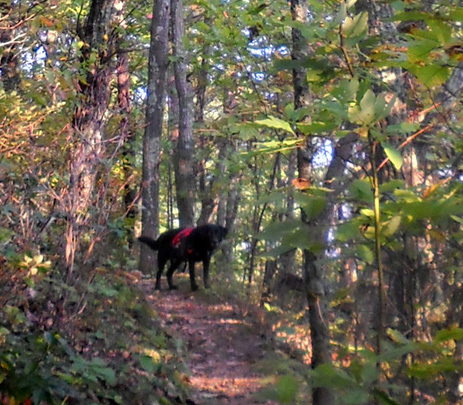 the little sound the camera makes, he heads on up the trail. Although the guys were within either eyesight or earshot of the parkway on the AT, the Glenwood Horse Trail drops much farther down off the ridge and is more remote. That means a significant descent midway through the loop and a long hike back up to Black Horse Gap at the end. But that's good -- they needed the elevation gain and loss for MMTR training. They ranged from over 2,500 feet on the AT to 1,500 feet or less in the valley during their circuit. This route was mostly new to Jim. He's been on that part of the AT but didn't remember it very well (neither do I). Although we've run other sections of the Glenwood Horse Trail, this was our first time on the segment south of Bobblets Gap. Looking at the elevation profiles on our AT map before the run never tells the whole story. Steve estimated it would take them 3-3½ hours to complete the run. Unfortunately, Jim didn't know how little water there would be on the loop or how long it would actually take them to finish it -- over four hours. Both fellas were very glad to get done. It was a warm day and they had less shade (and water) than I did. 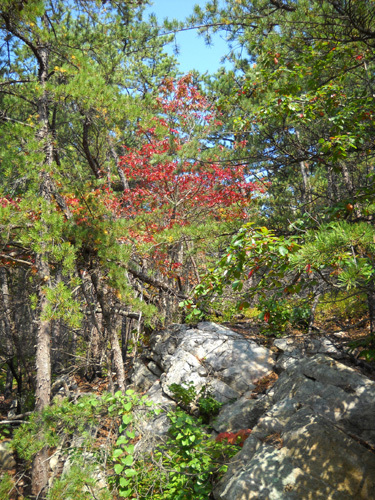 In this entry I'm featuring photos from my run/hike today. Jim rarely carries a camera and is even less likely to do so when he's running with someone else. I've done the AT north of Black Horse Gap a couple times before and know the scenery Jim saw is similar to these pictures from my hike going south of the gap. The photos along USFS 186 are scenes the guys also passed. I knew the route Jim and Steve were taking was hillier and a little rougher than I needed to tackle with bad knees. I also knew I'd be unable to keep up with them, so I planned a simultaneous run/hike with Cody that would take about as long but cover less ground and not involve as much elevation gain and loss. I'm pretty sure I had more fun than they did, mostly because I wasn't pushing myself as hard! AT sign at Black Horse Gap going southbound; Jim and Steve went northbound. 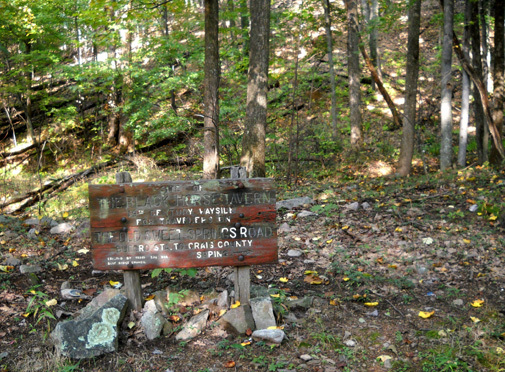 I headed south on the AT from Black Horse Gap, opposite the direction Jim and Steve ran. The AT is smoother in that direction and has fewer ups and downs. It is also more peaceful because it arcs away from the parkway as the ridge widens south of the gap. I didn't hear any parkway traffic once I'd gone a couple hundred feet. It was a beautiful, sunny morning. Like many sections of the AT through Virginia, the miles we ran and hiked today are mostly shaded in the summer and fall with pines and mixed hardwood trees. 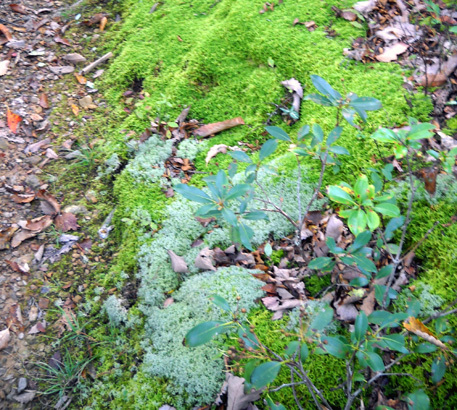 Some areas are thick with lower-growing rhododendrons and laurels, which stay green all winter. 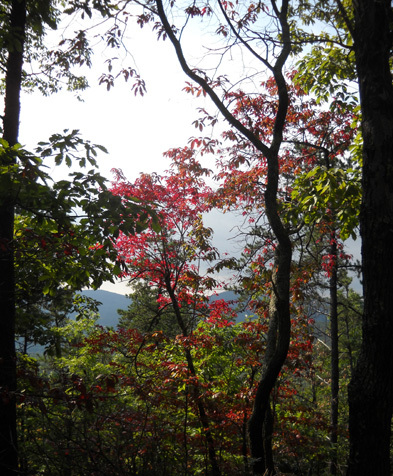 I was a little surprised there weren't more colorful leaves at the end of September at 2,400 feet. I was still in mostly the "long green tunnel" today. 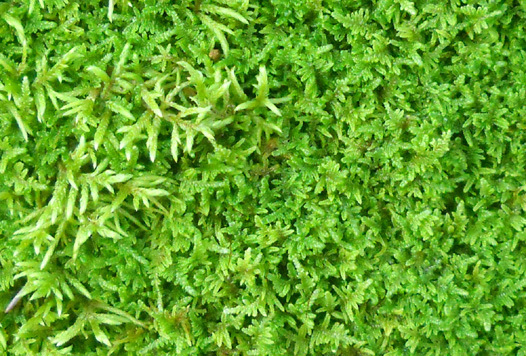 Several times I reached over to touch the soft, green carpet of moss. I didn't see any flowers blooming; I was looking for some. BUFORD STA. TO CRAIG CO.
Finding a piece of history was totally unexpected and made my excursion all that more enjoyable today. The road gradually switchbacked down past some interesting rock formations. 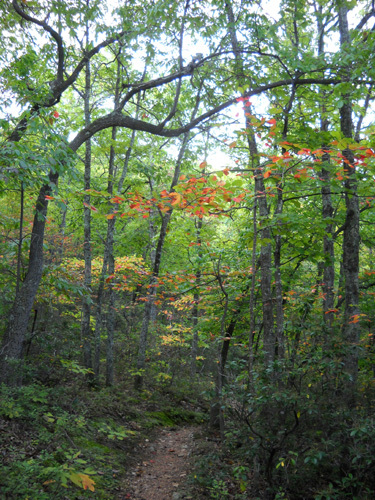 For some reason I found more colorful leaves here than higher up near the ridge. I timed my hike down this pretty road to coincide with the arrival of Jim and Steve as they looped back to Black Horse Gap. I figured I'd see them coming toward me; I'd turn around and try to keep up with them as they walked up to the ridge. I turned around before I reached the Glenwood Horse Trail, however. The fellas were overdue and I began to wonder if they'd missed the turn from the horse trail onto USFS 186. If they did, the Glenwood Horse Trail would intersect the parkway farther south of Black Horse Gap. Cody and I were also running out of water (he wasn't wearing his pack this half of the walk), which gave me further incentive to return to the car. After rehydrating at the car I sat on a boulder next to the gate at the top of the Old Sweet Spring Stagecoach Road (USFS 186). From there I could also see our vehicles on the other side of the Blue Ridge Parkway and know if Jim and Steve returned a different way than planned. heading up the stagecoach road toward me. Cody ran down to greet each of them. They were tired but OK; it just took them longer to complete the loop than Steve predicted. They made all the correct turns. They both agreed it was good training for Mountain Masochist. 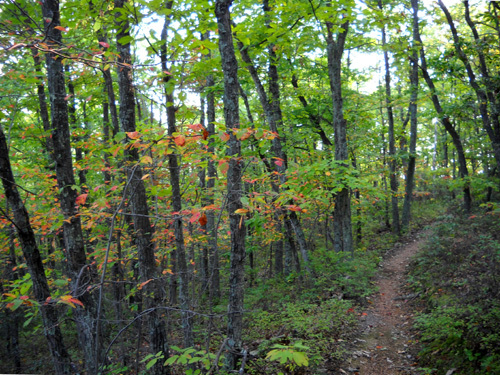 Although Jim and I travel far and wide to find beautiful mountains to run and hike, we still have many gorgeous trails like these practically in our back yard in Virginia to explore. That's one of the main reasons we bought property in the Roanoke area over five years ago. Runs like today's remind us of that. We are glad we have the opportunity and ability to travel both near and far to find such beautiful places.